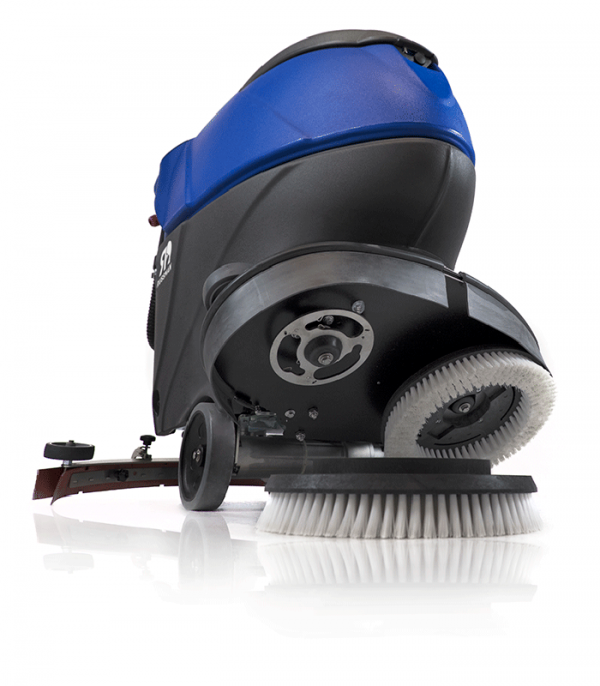 The Russman M walk behind scrubber is engineered to provide exceptional cleaning from a small overall package. Available in battery or cord versions. Its compact size and location of batteries provides manoeuvrability and stability to negotiate around benches, aisles and through doorways. Fitted with on board battery charger this unit is easy to store when not in use. With an operating noise level of 66 dBa provides quiet operation for public spaces. The Russman M model is an excellent choice for applications such as: Automotive workshops, small supermarkets, wineries, commercial bakeries, and kitchens. 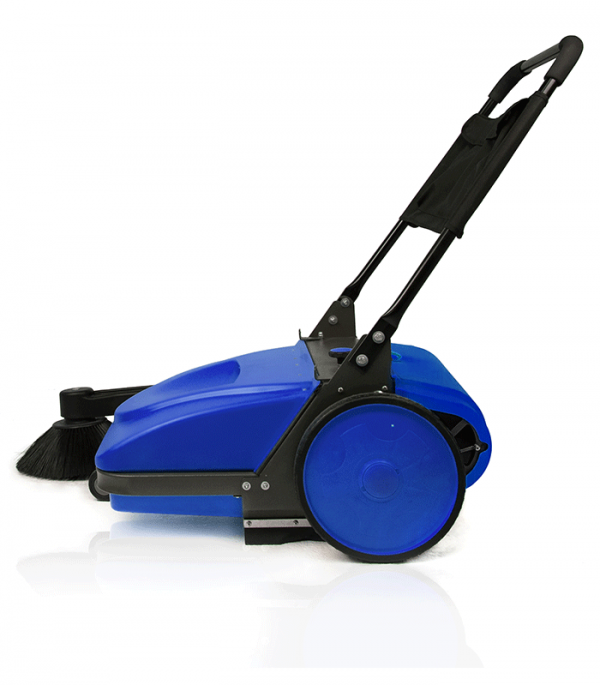 Available in both 240V or 24V battery versions and scrub widths of 450-500mm. All Russman products are backed with a 12 months parts and labour warranty this coupled with our extensive parts stock and service knowledge will keep your machine cleaning. 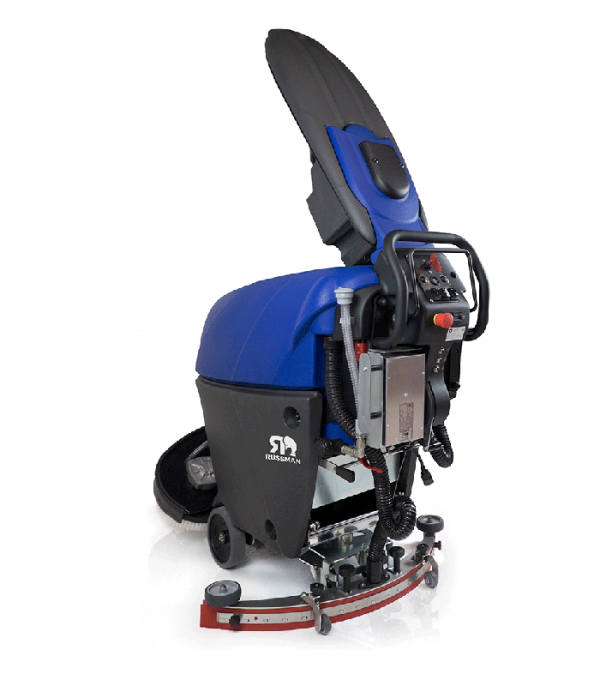 The Russman MT scrubber drier has been designed with simplicity in mind. 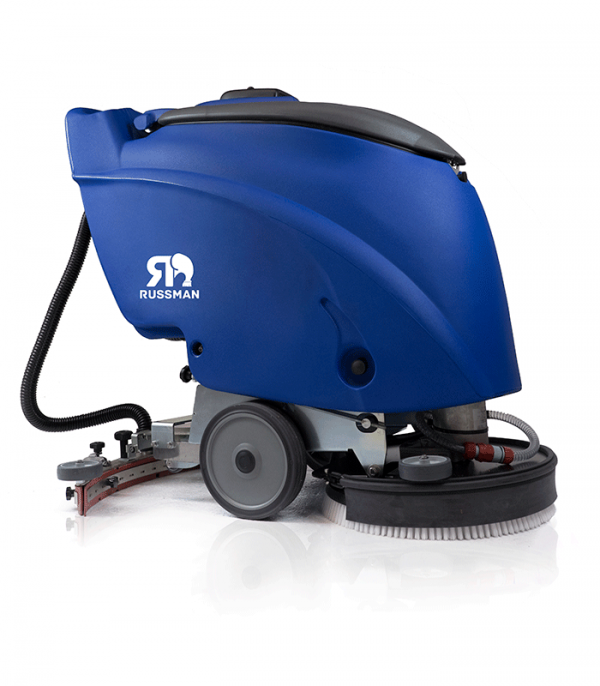 Easy to use controls, generous tank capacities with brush assisted semi-automatic drive and low noise operation. With an optional automatic filling and dosing system along with varying scrub brush options this machine has everything required to ensure consistent results. The Russman MT has proven reliability in many applications such as: Large showrooms, Hospices, Food Manufacturers, Supermarkets and Commercial Kitchens. Available in both 500mm or 550mm scrub widths. All Russman products are backed with a 12 months parts and labour warranty this coupled with our extensive parts stock and service knowledge will keep your machine cleaning. but at the same time simple and rugged. 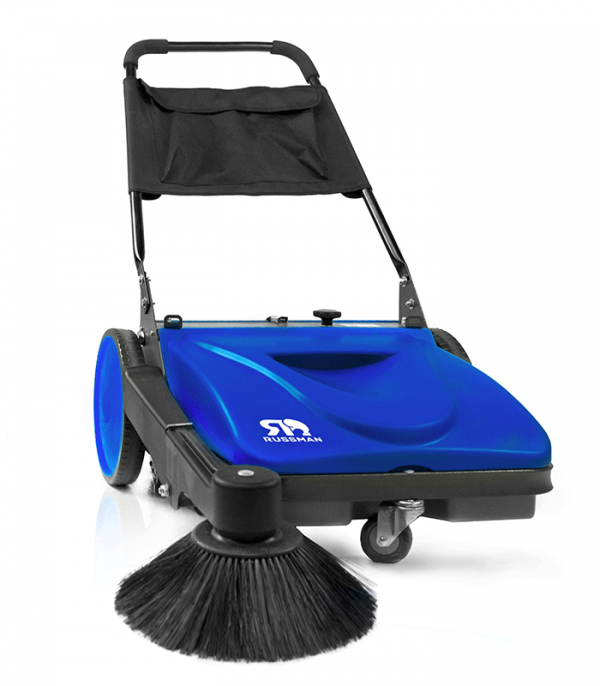 These scrubbers are designed and built with the best materials and according to the highest levels of engineering. 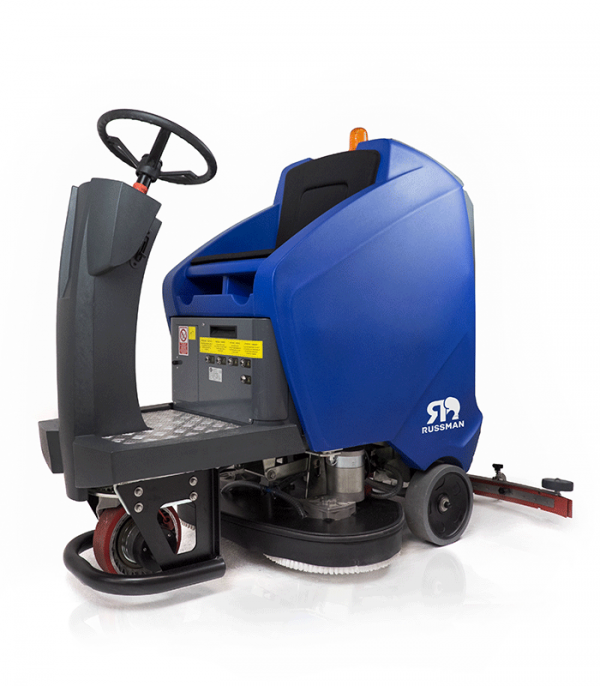 The Russman BT walk-behind scrubbers are an excellent choice for applications such as: Supermarkets, Shopping Malls, Showrooms, Hospitals, Airports and Public spaces. Guaranteeing excellent performance also in industrial applications such as mechanical workshops, metal processing, and assembly lines. 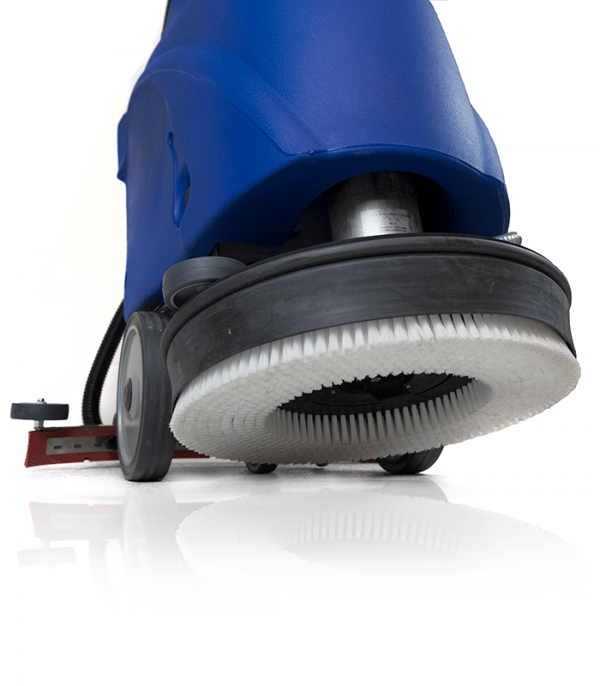 Available in varying scrub widths and configurations from 500mm single brush to 660mm twin brush widths. All Russman products are backed with a 12 months parts and labour warranty. This coupled with our extensive parts stock and service knowledge will keep your machine cleaning. 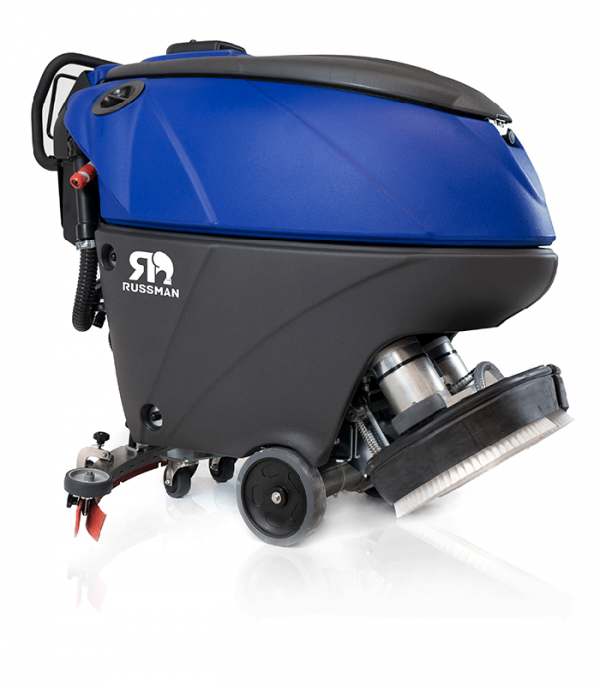 The Russman group are proud to introduce the newest addition to our range the MV700 mechanical vacuum sweeper, a leading design in manual vacuum sweeping. 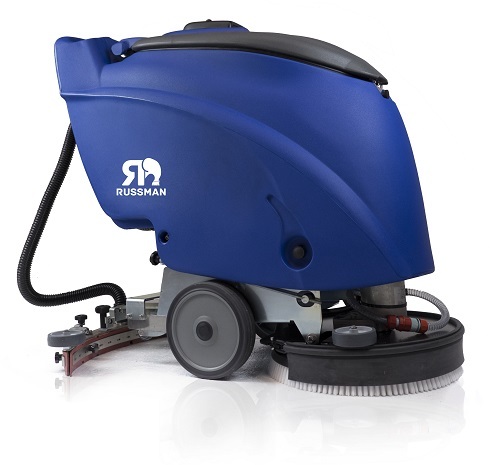 Take a walk with the Russman MV700 to experience the difference in mechanised vacuum sweeping. Dust free! All Russman products are backed with a 12 months parts and labour warranty, this coupled with our extensive parts stock and service knowledge will keep your machine cleaning. Polyurethane tank in tank design. exhibition centres, shopping centres, pharmaceutical manufacture, large supermarkets, metropolitan hospitals, food industry. Guaranteeing excellent performance also in industrial applications such as mechanical workshops, metal processing and assembly lines. 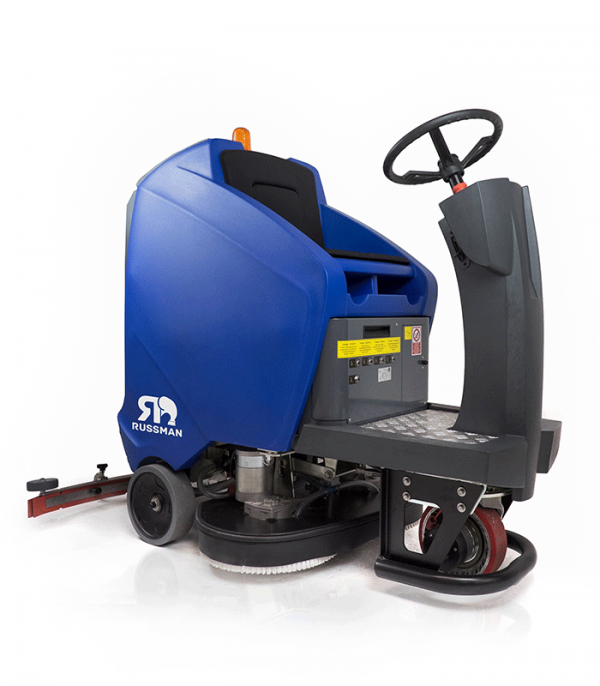 The Australian owned Russman range of pedestrian scrubber driers have been designed and built in Italy with industry feedback and first hand experience. 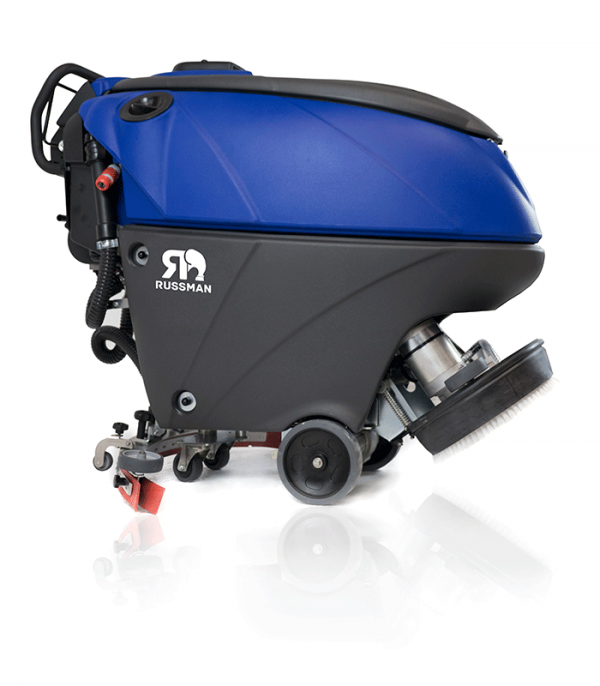 Proving to be the product of choice for the cleaning industry with many options fitted as standard.